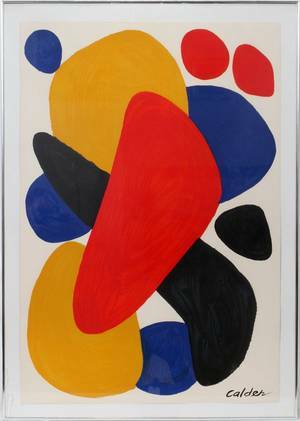 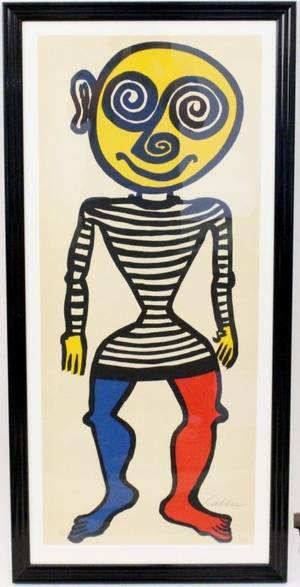 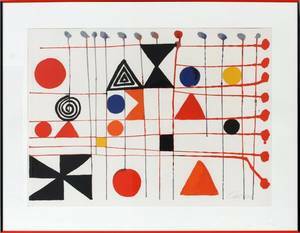 Alexander Calder (American, 1898-1976), "Puppet Man"- 1960, color lithograph on Arches paper. 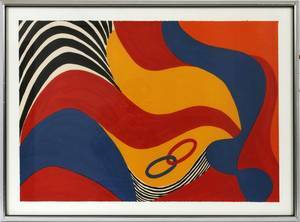 Pencil signed lower right and numbered lower left "73/75". 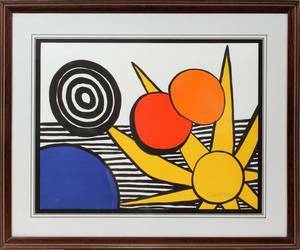 Framed 46.25" x 22.5". 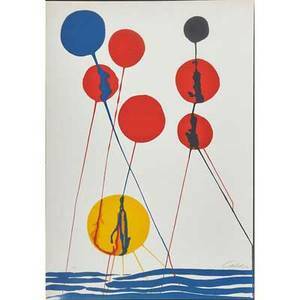 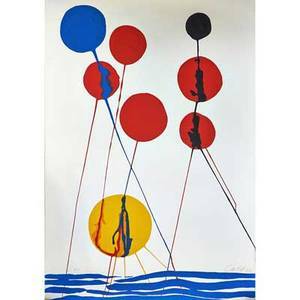 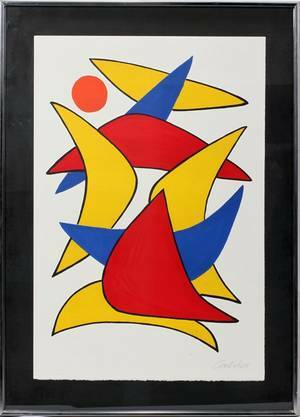 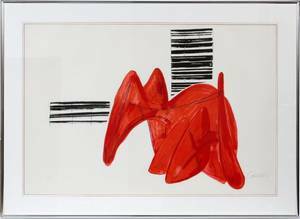 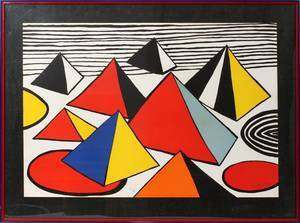 Sheet size 40.75" x 17.25"
Alexander calder (1898-1976); lithograph, "balloons"; pencil signed calder and ea; sheet: 40" x 28"